My Five Cs are the same when dealing with many items for which markets exist, including guns, cars, watches, or even baseball cards. If you’ve watched any of the current batch of pawn shop-based “reality” (and I use that term loosely) TV shows, you’ll always see the shop owners apply these principles every time they negotiation with the sucker customer who has brought some prized possession into the shop. We’ll keep our discussion limited to firearms in this article, but keep in mind that you can apply these principles to pretty much anything. Also, and I’ll mention this concept again later, it’s crucial that you “Do Your Homework” when it comes to accurately valuing a gun. The more you know about a particular firearm model, and the more information you can gather about a specific example you’re looking to value, the more likely you are to arrive at a realistic value. Know what information to look for, gather as much of that information as possible, then run it through the Five Cs. The collectibility of a gun is a combination of how rare it is, as well as how sought after it is by consumers. Just because a gun is rare doesn’t automatically make it collectible. Let’s say, for example, that you design and build a firearm in your garage tomorrow. It’s unique, one of a kind, the only one in existence… and therefore extremely rare. But that doesn’t mean gun collectors will be knocking down your door to buy it. How sought after a particular model of gun might be is affected by a wide variety of factors, including its origins, history, whether it’s part of a special run, vintage (particularly if it’s the first year of the model), military use, reputation for quality and reliability, technical innovations for its time period, influence on the future technical innovations, or any number of other factors. Why a firearm is sought after isn’t always as important as that it is sought after; if enough people want something, there’s a market for it. And if there’s a limited number of that something, that affects its rarity and therefore its collectibility. 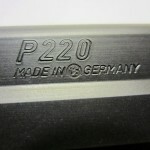 True West German and German-made SIG Sauers, for example, tend to be more collectible than most of their US-made counterparts. 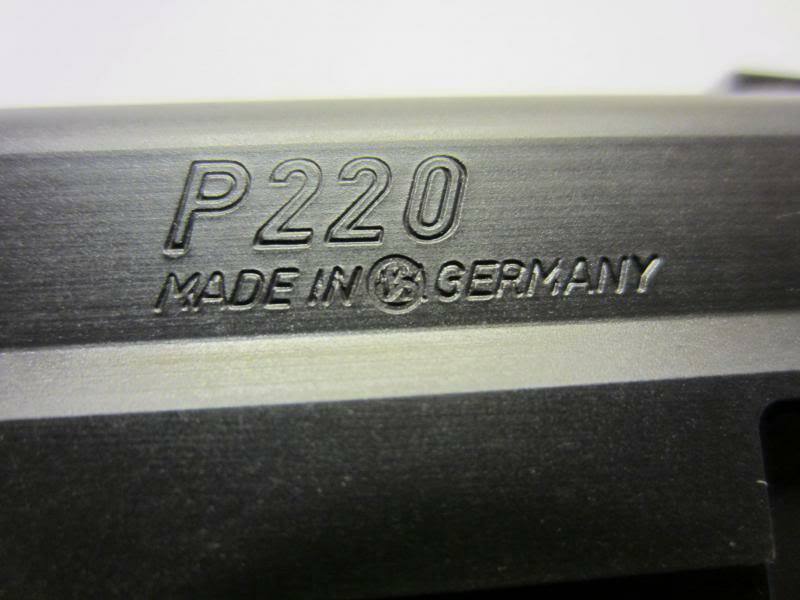 That’s because they’re somewhat rare (West Germany no longer exists and SIG now makes most of their guns in the US), and because there are enough consumers who value them to sustain a strong market for them. The next thing to consider when valuing a firearm is its completeness, meaning how much of the “original stuff” that came on and with the gun from the factory is still with the gun. Things like original boxes, owners manuals, factory magazines, grips, sights, test targets, and factory test-fired ammo casings can add to the value of a gun. Inversely, the absence of these items can detract from it. Original accessories that were included from the factory are also important, especially if there’s a cutout in the OEM box to hold them. Empty spots in an OEM box are almost always an indicator that something’s missing. When considering completeness, all the “bits” don’t necessarily have to be on the gun, provided they are still with the gun. A gun with aftermarket sights or grips installed would still be considered “complete” if the originals were still with the gun — provided they could be reinstalled without causing damage to the gun or the original part. Sometimes, you’ll come across a gun that is “more than complete.” For example, I recently purchased a SIG X-Five, which original came from the factory with two magazines. The previous owner sold it to me with four magazines and a box of extra OEM recoil springs. Extras like that add some additional value to a purchase, but never more than the price of the items were they purchased direct from the factory. However, in cases where such extras may no longer be available, they can significantly increase the value of the gun. Once again, the only way to know what should be on or with a gun to consider it “complete” is to do your homework. Don’t automatically trust everything that a seller tells you about completeness — they may not know everything about the gun themselves. Web searches, discussion forums, and even contacting the factory directly (if they still exist) are excellent sources of information, and well worth the effort to help make you a more informed buyer or seller. I’ve seen some people lump in correctness with completeness, and while they certainly are related, I consider them different enough to break apart into their own categories. Correctness refers to whether all the parts of (and on) the gun are supposed to be there. 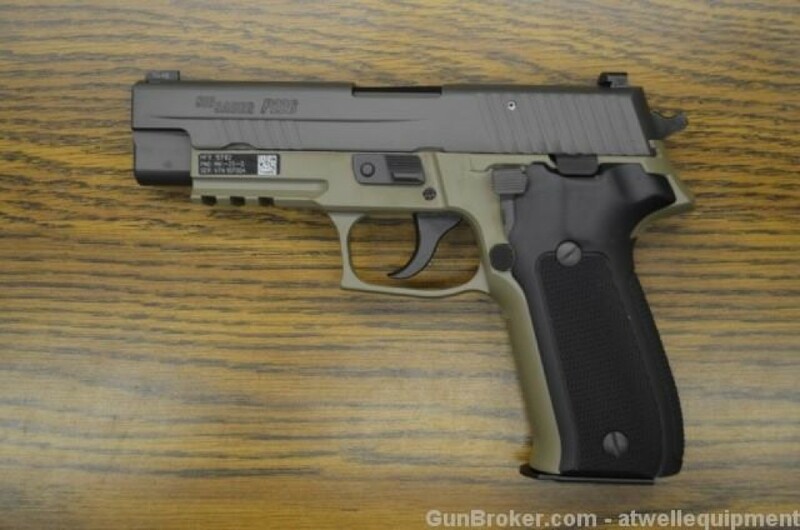 For example, in my quest to collect SIG P226s, I recently came across a GunBroker listing for a gun that had a P226 MK25 frame mated to a P226 Legion. In SIG circles, we call that a “FrankenSig.” Technically, it’s a complete gun because it has a frame and slide… but it’s neither a correct MK25 nor a correct Legion. SIG P226 Legion slide on a MK25 frame. Having the correct trigger, grips, sights, controls, barrel, etc. on a collectible gun goes a long way in protecting its value. And once again, doing your homework as to what is and isn’t correct is the only way to know for sure. One of the most important factors when valuing a gun is its condition. Obviously, there is a strong correlation between a gun’s condition and its value. There are a few popular methods for rating condition, and this article by Jim Supica published on the NRA Museum website does a great job at explaining them. I strongly recommend you read that article and then use consistent nomenclature whenever discussing gun condition. Sellers are often tempted to list firearms as “excellent” when in fact they may just be “good,” and buyers may not always know one from the other. Knowing how to properly rate a gun’s condition will make you a more competent seller and a more savvy buyer. Researching a particular model before you consider buying or selling is an important part of fairly rating its condition. The shortest answer to “what’s this gun worth?” is “whatever the seller can get for it.” You might also hear this expressed as “whatever the market will bear.” And the best way to estimate what a gun will sell for is to research what a comparable gun has sold for. But there are a few caveats to keep in mind when evaluating “comps” based on previous sales. Because market prices can swing up and down, the comparable sale must be recent. I like to see it no more than a few months old, and the older the comparable sale, the less reliable it is. A true comparable should also be for the identical model, with similar vintage, condition, and completeness. 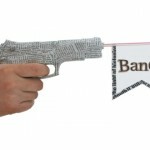 One popular method for finding comps is to see what a gun has sold for on GunBroker.com. Notice I didn’t say what it’s listed for. Listing or reserve prices aren’t good indicators of value. Completed sales, and even actual bids on current sales, are far better indicators. Another popular source is the Blue Book of Gun Values. While it’s not perfect, it’s relied on by a number of gun stores when they’re guying guns, so it’s worth at least knowing about. You can also call a local gun store and ask them what they’d pay for a gun if you were selling it, but keep in mind that gun stores will pay far lower for used guns than an individual buyer, since the gun store needs to be able to re-sell that gun at a profit. Cabela’s, for example, is reported to buy used guns at 65% of the Blue Book price. And if the person working in their Gun Library isn’t an expert appraiser of condition, they might rate a gun’s condition lower than it actually is. I don’t like to use pawn shops as a pricing guide, as I tend to find their prices on the higher side. But there are bargains to be had there from time to time, provided you’ve done your homework. 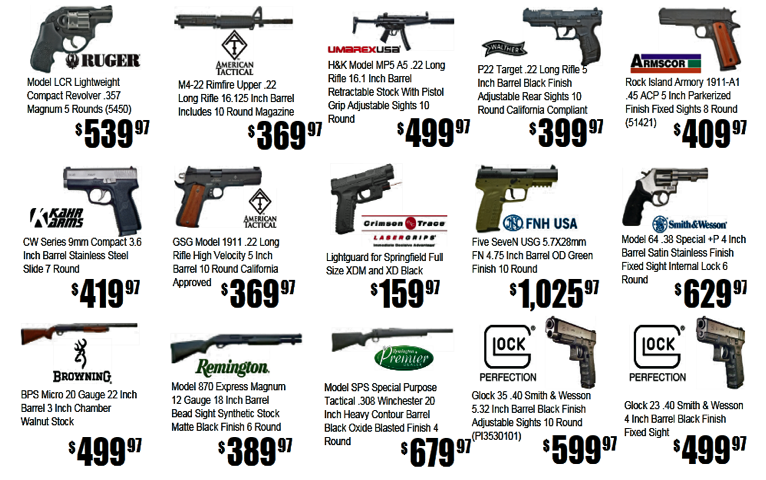 Even with comparables, pricing tends to get fuzzy when an individual is selling a gun to which they have an emotional connection. Perhaps they have a gun that was passed down to them from their grandfather. It’s possible that, subconsciously, they don’t really want to sell it. Or maybe they’d be willing to sell it, but only at a premium that might help offset the emotional connection. 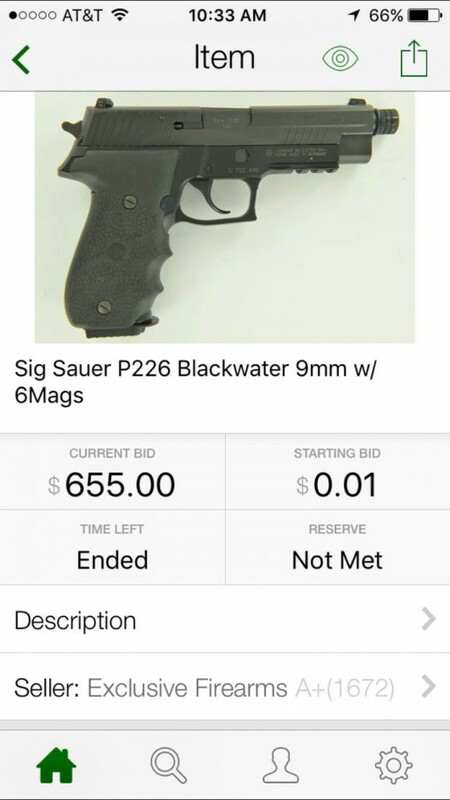 If you’re the seller in a situation like this, it’s important to understand that a potential buyer won’t have the same connection to that gun, and won’t pay a premium just because it was your grandfather’s. And if you’re the buyer, keep in mind that the seller may not truly want to sell the gun, so they’re building some emotional value into the price. In the end, it’s always the seller’s decision whether or not to accept an offer. Even if a seller is being unreasonable in their valuation… as the current owner of the gun, they’re allowed to be as unreasonable as they want. If you’re a buyer in a situation like that, make a fair offer, and politely move on in your search if it’s not accepted. The Five Cs can have a large impact on guns that might seem, at first glance, comparable. The higher priced one was a slightly different version (a P226 Tactical) (so not perfectly comparable), but that still doesn’t explain the massive difference. 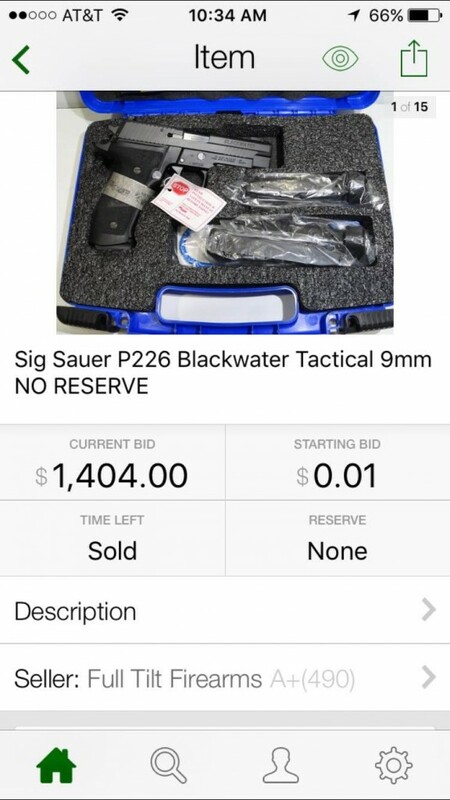 Both guns are collectible, in that they have a following among certain SIG owners for the Blackwater notoriety. The condition of the first example seems superior at first glance, particularly since it has the original grip band that would indicate it’s unfired. But the completeness and correctness of the two examples is where the values truly diverge. The example that didn’t sell has the wrong grips (the Blackwater grips were a big part of the value), no box, no manual, and the extra mags that come with it are the wrong type. Also, as far as I know, threaded barrels didn’t come with the Blackwater P226s (though many owners added them), so that’s also a possible knock on correctness and completeness. As this single example shows, and there are many more examples just like it, the Five Cs have a huge impact on how a free market will value a firearm. Learn the Five Cs, do your homework, and you’ll be able to answer your own question of “What is this gun worth?” with confidence.